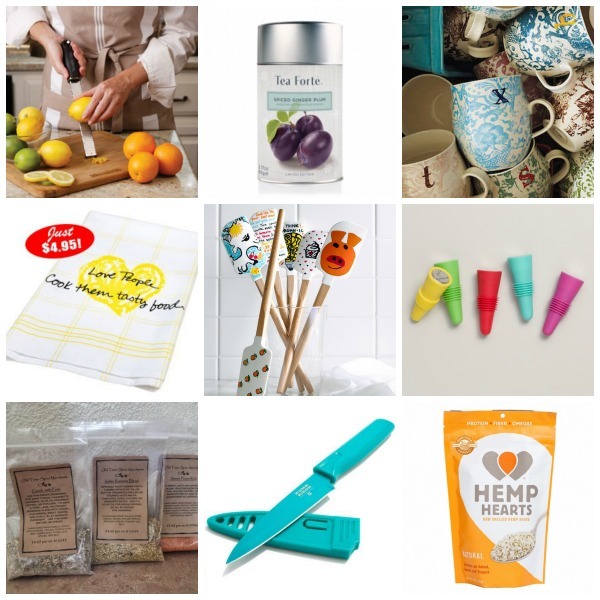 Tis the season for gift giving and there are more food related gifts than ever before! 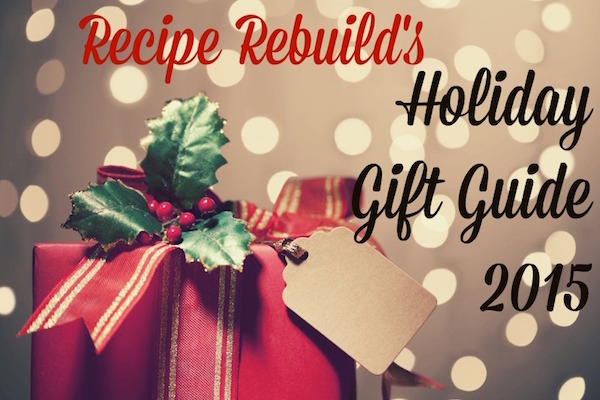 From hostess gifts and edible treats to large gifts, we have a little something for everyone in the 2015 Recipe Rebuild Gift Guide. 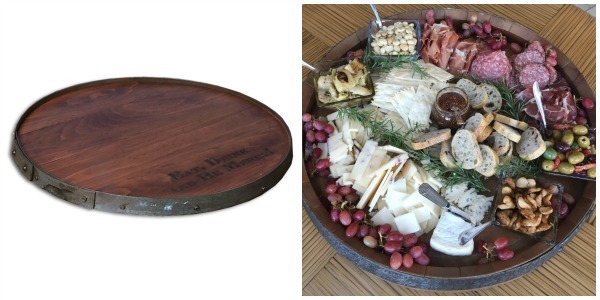 One of my favorite custom gifts is a personalized wood barrel lazy susan. I love using these as cheese trays and/or charcuterie boards for entertaining. Napa Style has two sized boards that can be personalized and are reasonably priced compared to other boards out there. You can find the Barrelhead Lazy Susan HERE for $129-$149. In the picture below you can see an example of a recent charcuterie board I prepared for a dinner party. 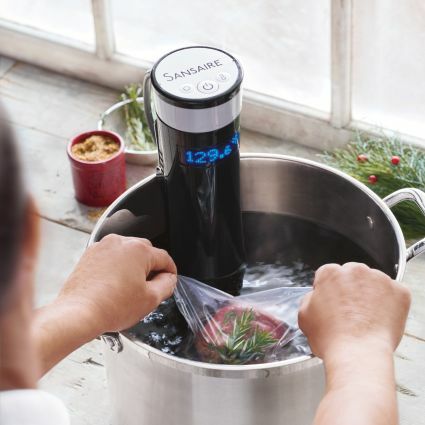 For the food lover who has ALMOST everything, the Sansaire Sous-Vide Immersion Circulator is an ingenious gadget and essential tool in a modern kitchen. Your gift recipient will have fun experimenting with a trendy cooking technique. I bought one for someone on my gift list this year and used one of of Sur La Table’s promotion coupons for a much lower price on this. The Sansaire Sous-Vide can be found HERE for $199. 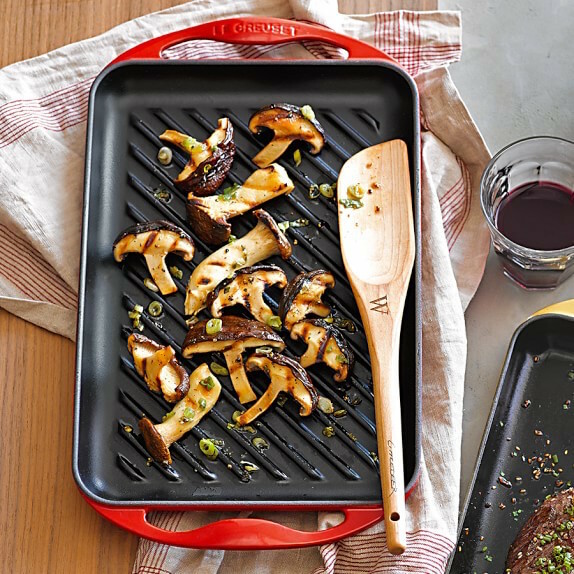 This Cast iron Skinny Grill by Le Creuset is a recent find and a must have for the kitchen. The Lapis or Cherry red colors are adorable. Williams-Sonoma offers it at $80 below retail and has a current 20% off promotion! Just be sure to add a little oil and spread it around with a paper towel to prep the grill surface before using. The Le Creuset Rectangular Skinny Grill can be found HERE. This Micro Greens Kit is sleek and functional. Sow, sprout, grow and harvest your own salad ready sprouts in just 7-14 days. 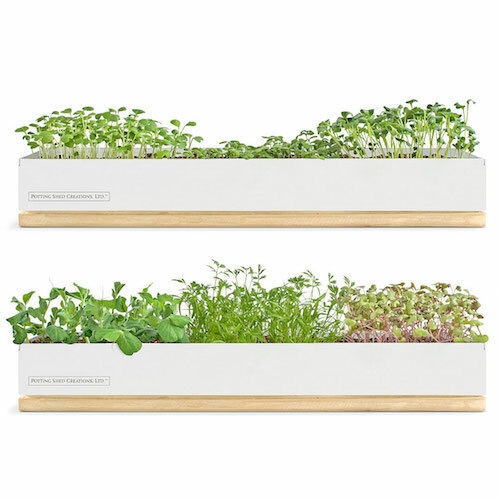 The Micro Greens kit can be found HERE from Uncommon Goods for $48. Micro greens pack a real nutritional punch as they are nutrient dense and full of phytonutrients. I have seen sprout seed packets sold at our local Lucky’s Market and they can also be found online (though the kit does come with starter packets). Every foodie needs a nice market tote for farmer’s market visits or quick trips to the grocery store. 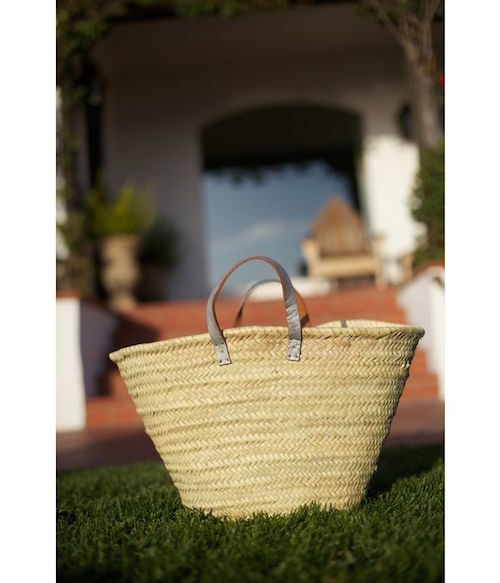 This French Market Tote by Simple Peace is perfect. Simple Peace also offers other sizes and different bag handle colors as well. The Market Tote can be found HERE for $50. My parents have little spice cellars next to their stove and I recently picked up a salt cellar. They are perfect for a pinch or a dash here and these ones made by Rae Dunn are super cute. They sell for $48 and can be found on Etsy HERE. 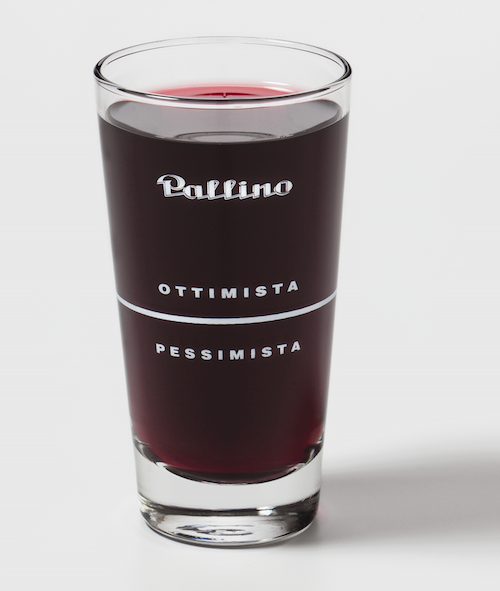 For the wine drinker in your life, these glasses are styled as an Italian bistro wine glass, and are the perfect size for everyday use. Is the glass half empty or half full? These come as a set of 6 for just $36 and can be found from Pallino HERE. 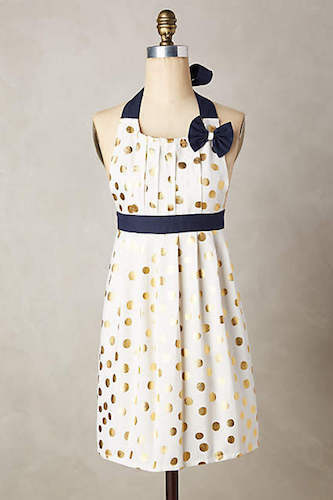 The aprons at Anthropologie are crazy adorable and this gold polka dot one with navy contrast is no exception. This sells for $32 at Anthropologie and can be found HERE. 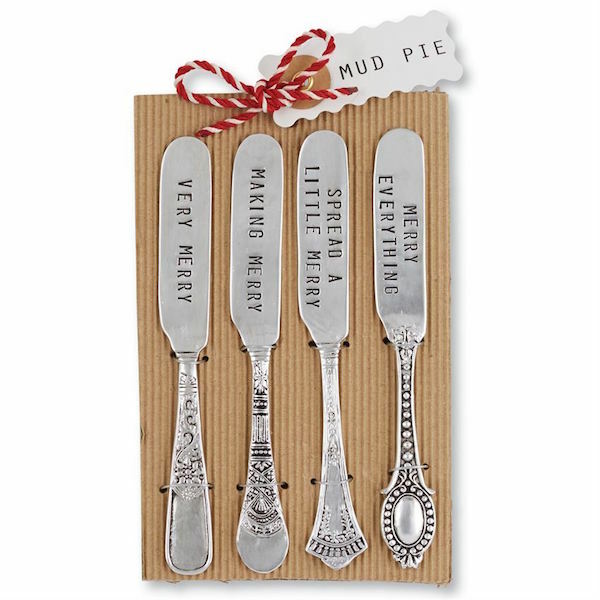 These spreaders from Mud Pie are my favorite hostess gift to give around the holidays. This 4 piece knife set provides distinctive silver plated stamped phrases “Very Merry,” “Making Merry,” “Spread A Little Merry,” and “Merry Everything. Perfect for cheeses, dips and spreads. They can be found HERE for under $20. 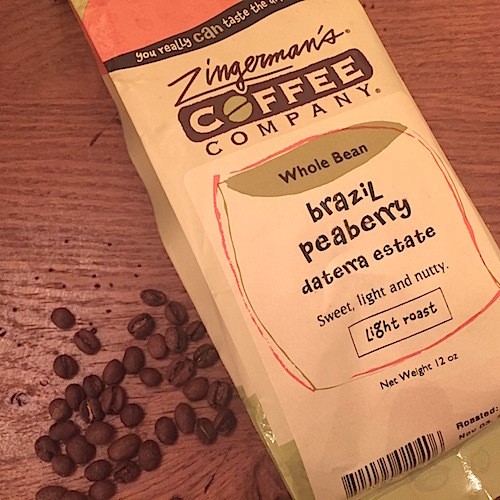 My favorite coffee this year is Zingerman’s Brazilian Peaberry Coffee. It is a super mellow, nutty coffee that has very low acidity. One of my favorite finds this year and worth every penny as I savor every sip. It sells for $22 from Zingerman’s HERE or you can pick it up where Zingerman’s coffee is sold, listing HERE. 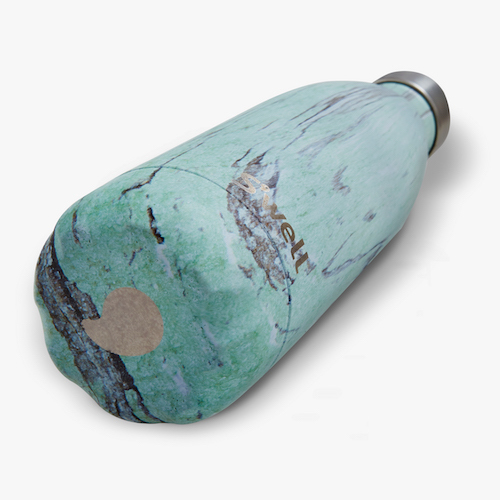 The Wood Collection water bottles by Swell are swoon worthy! Check out this beauty in Beach Cottage for $21.25 sold by Swell HERE. I picked this one up as a gift this year and I think I have to pick one up for myself too! It is so pretty it might just make me drink more water! 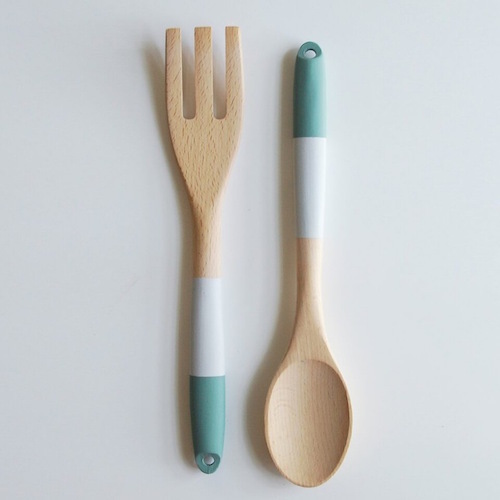 This eucalyptus and light grey color block wood utensil set is lovely. This set sells for $12 over at Brit + Co HERE. 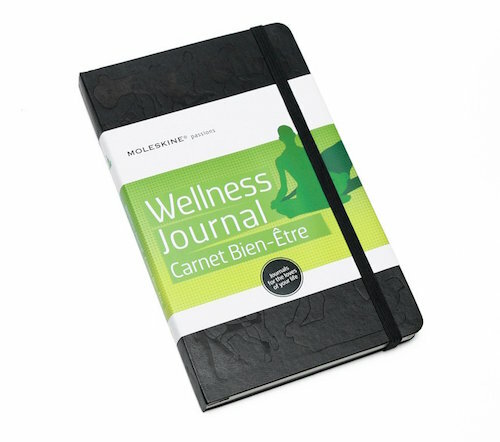 The Moleskine Passiona Wellness Journal is a great little gift for those interested in healthy living. There are 6 themed sections that include: Personal Goals, Exercise Log, Diet, General Health, Games/Sports, and Inspirations. It also has special pages for seasonal food calendars, food facts, measures and conversions and can be found at Barnes and Noble for $19.95 HERE. Love People Cook Them Tasty Food towel by Penzeys is a favorite gift for foodies and rings in at $4.95 HERE. Rabbit Wine Bottle Stoppers are a favorite – colorful and functional and are sold for $4.99 for a set of two at World Market HERE. Kuhn Rikon Paring Knife in bright colors sells for $9.95 at Sur La Table HERE. Hemp Hearts are a delicious way to add some extra nutrition in. Hemp Hearts may look little, but they contain 10 grams of plant-based protein and more omegas than a comparable serving of Flax seeds or Chia seeds. Sprinkle them on yogurt, cereal or salads. Vitacost sells a 1 pound for $13 HERE. I received one of these initial mugs as a birthday gift and it really is a perfect gift! Currently selling at Anthropologie for just $6 this can be paired with a box of tea or coffee shop gift card as a gift on its own or added to a stocking. Find the monogram mugs HERE. These spatulas from Williams-Sonoma help end childhood hunger as a % from each one purchased is donated. 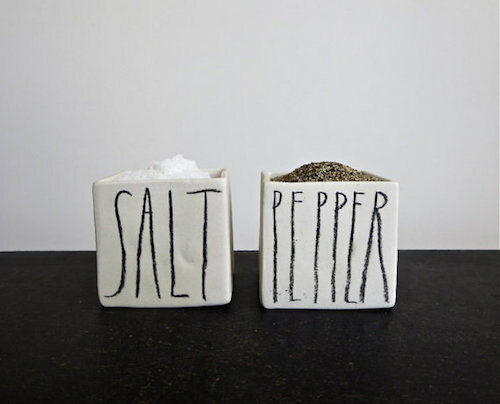 They come in various styles and make a great gift for that fellow foodie. They can be purchased HERE for $12.95. The microplane zester ranks among the top 4 of my favorite kitchen tools and gadgets. It can be found at Target for $14.95 HERE and is sold widely online and in stores. Spice packet from the Spice Merchant make wonderful little gifts perfect for stocking stuffers. Spice blends can be found HERE. Tea Forte’s Spiced Ginger Plum Tea was a hit at a recent weekend away with friends. It can be found at Tea Forte HERE for $11.25.